While I'm honeymooning in Anguilla, I have a couple of fabulous Boston bloggers filling in for me. Thank you to Sami for this one! Hi! 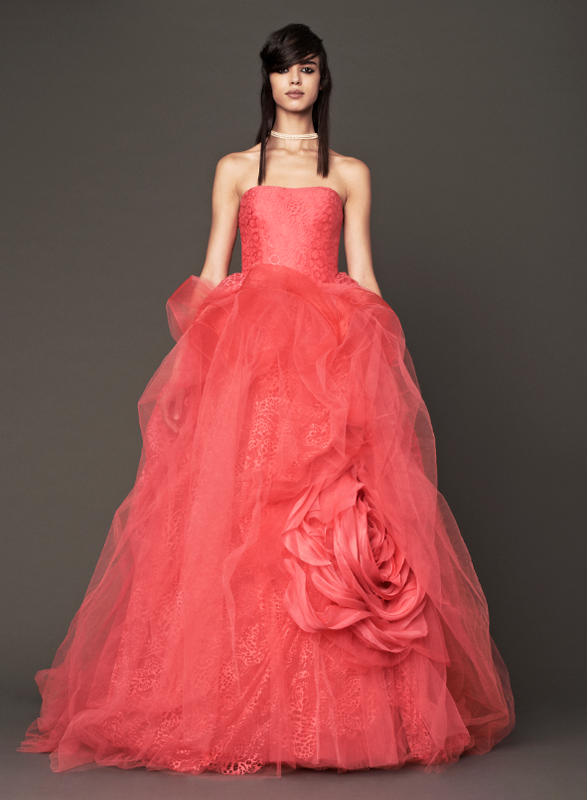 I am Sami from A Glimpse of Glamour. I met Marissa a few years ago when we first started our blogs and we have been friends ever since! 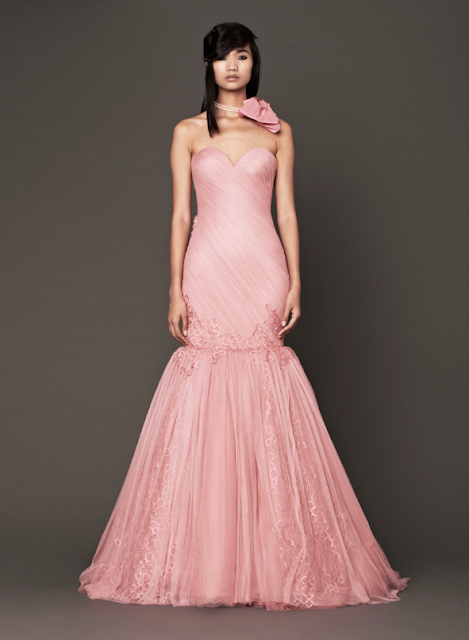 I have always admired her unique findings, impeccable writing and the way she intertwines great design with great fashion. I am so excited for the opportunity to appear on her blog during the most wonderful time of her life! Congrats on your wedding, Marissa and Avi! 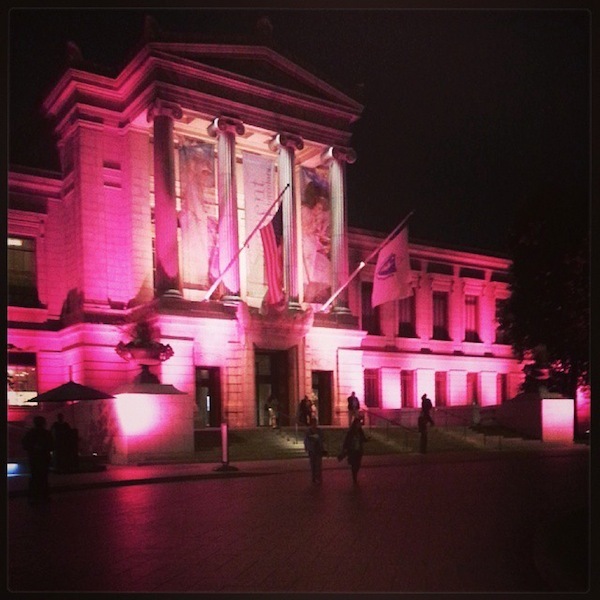 Last week, I was delighted to visit the Boston MFA and see it all lit up—in PINK! To celebrate the opening of the museum's latest exhibit, "Think Pink," and to honor Breast Cancer Awareness Month, the museum will be illuminated in this rosy hue for the remainder of October! 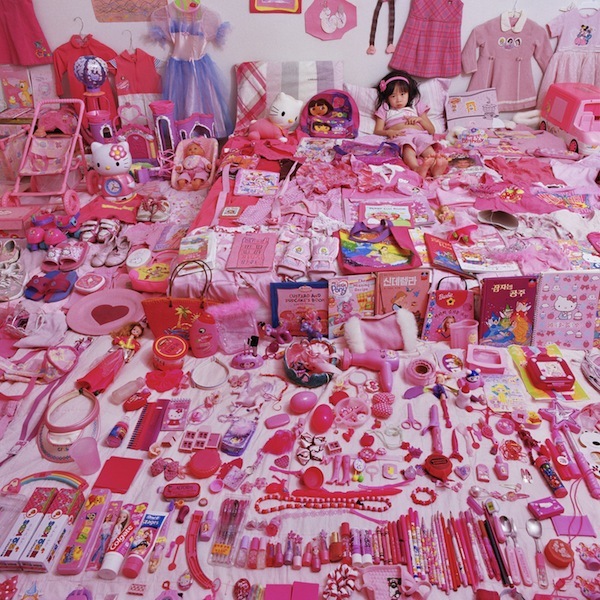 According to the Curator of Fashion Arts, Michelle Finamore, "I have been fascinated by design and gender for some time and working on this exhibition has helped me to answer questions about why my five-year old daughter's closet is full of pink dresses. Exploring the Museum's collection through 'rose-colored glasses' has been a stimulating exercise, inspiring me to see objects from a new perspective." 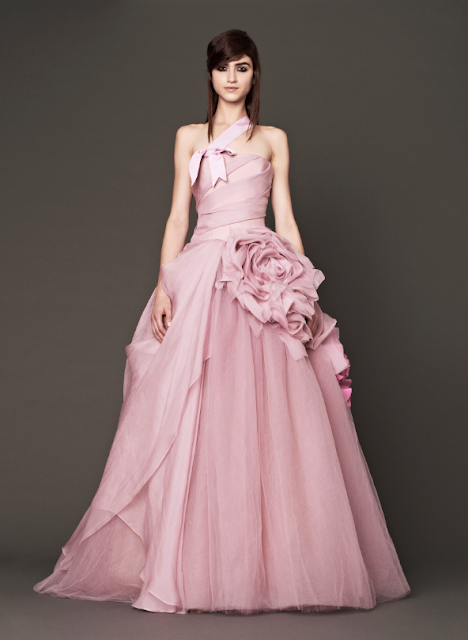 On a similar note, Vera Wang took Bridal Fall Fashion Week 2014 by storm, sending model-brides down the runway in nothing but pink, pink and more PINK! 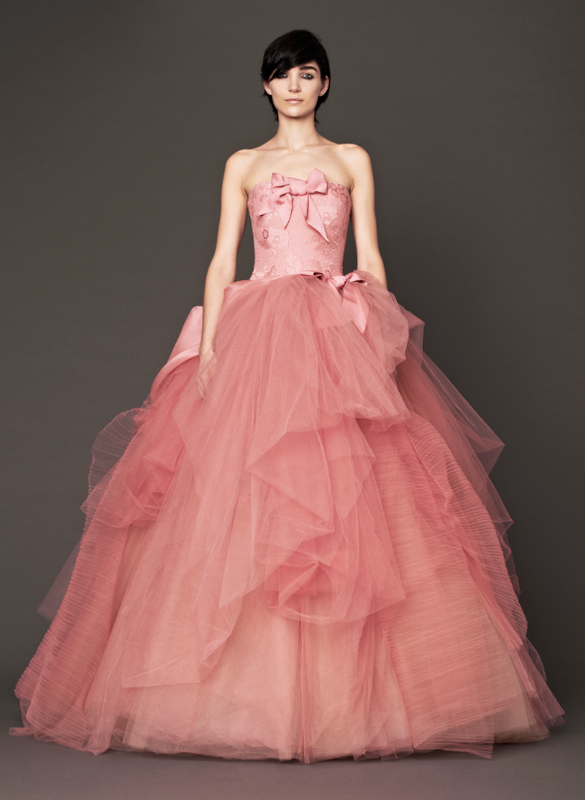 Some think it was purely for editorial purposes—but I kind of love the idea of being pretty in pink for a wedding day! Those Vera Wang dresses have me all swoony! And I really need to get down to the MFA while it's all lit up! Too perfect.